I think I see a pattern forming in Puuba’s games, and say this to Danny Garfield when I see him at Rezzed this year. Not that the games are in any way alike – their differences are pronounced – but in an underlying theme; Danny guesses what I’m going to say. Danny is larger than life – almost cartoon-like – as he bounces back and forth from speaking with me and the people coming to play the game, displaying more energy and enthusiasm than you’d expect from someone who’d been on their feet in public all day. He was much the same at Rezzed in 2014 when we spoke about Concursion, the totally-different game I find myself making a comparison to. Concursion is a game made up of five other games bleeding into each other, where cute platform sections can lead into spaceship shoot-em-up, or maze games might provide a shortcut to a jetpack section. It involves taking a multi-discipline approach to playing, getting good at several genres and better at exploiting how they effect each other. 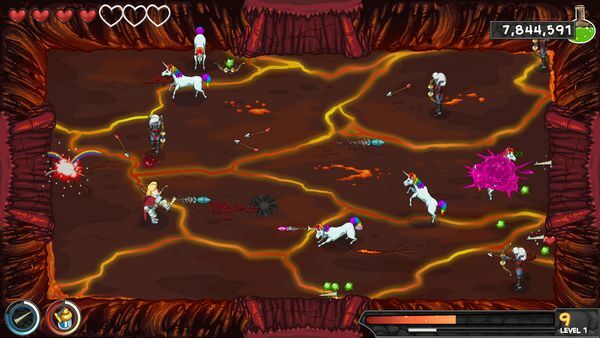 This year he is presenting the Weaponographist in the indie room at Rezzed, a top down dungeon brawler… except that you are forced to keep swapping weapons every few seconds, once again trusting the player to take a multi-discipline approach in their application of violence. 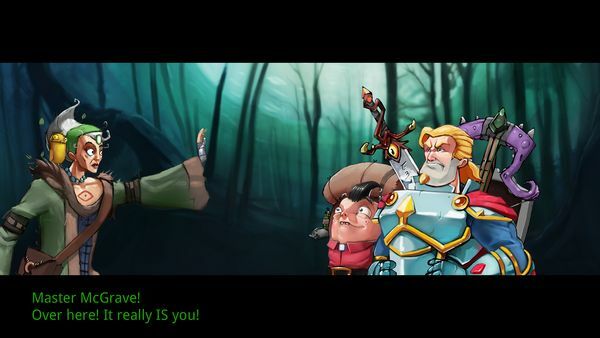 It seems he likes games that make players play in a range of ways… Get ready to master a lot of combat styles. Talk about different. Swords and bows you’d expect from a fantasy title; but when the enemies start including gangsters with machine guns, masked chainsaw attackers, and laser pistol carrying octopii you know to stop taking it seriously and just wonder what’ll come next. It might be an aggressively wielded sousaphone, for example (potentially Danny’s favourite item). The game itself has our protagonist Doug McGrave fighting all manner of monsters as he advances through a series of dungeon rooms and levels. In the display demo these remind me of the first Zelda game – a single room per screen and needing to clear the enemies out before the door will open. However, you are being pressed to work as quickly as you can. Every weapon you hold quickly decays away and monsters keep arriving; but they regularly drop their own weapons when defeated, leading to a pattern of fighting and scavenging. The curse doesn’t just make the weapons decay – Doug is fighting an uphill battle with his skills too. RPG elements of experience and skill levels are there, but unfortunately don’t only go up… Killing enemies adds both experience and to a combo meter delaying the effects of the curse; if this runs down then experience starts to bleed away. If you can keep taking monsters down, you’re fine, but if not you’ll face losing all the advantages that levelling brings. When you die – and not only will you die, but at times it will be tactically helpful to do so – you will return to the town, where you can upgrade abilities and weapons. For example, there is an ‘unhexer’ (“He can remove the curse in parts, make the combo meter a bit slower, make you run a bit faster, more max health, [...] you can even increase the durability of your weapons – a bit.”) and a weaponsmith (“[he'll] allow you to train with each of the weapons respectively. So if you love the sword you can put some levels in [and] hit harder with it.”), and they – along with the others – can all help you push that bit further and harder on your next visit. We will always need to be saved from the menace of sparkly rainbow unicorns. You’d think that musically this game would go for something simple after Concursion, which had five overlapping scores for each game that mixed as you went through them. However, this is also scored by Christopher Hoag (“I always feel compelled to say – even though he hates it – Emmy-nominated Christopher Hoag,” Danny says), and there is again a dynamic nature to the soundtrack. It’s an interesting idea, suggesting that you could ignore all the meters at the periphery and focus entirely on the action, relying on the soundtrack to update you on how you’re doing. 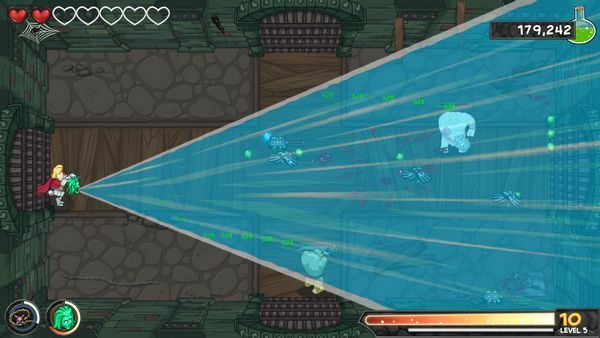 Danny is clearly a fan of speedrunning games – he streamed himself speedrunning Concursion not long after release – and talks of several ways that the Weaponographist can be measured. However, ability isn’t the purest way of speeding through the game, as running without deaths – and therefore upgrade opportunities – would be inefficient. Some strategy of when is needed too. Look for the speedruns shortly afterwards. 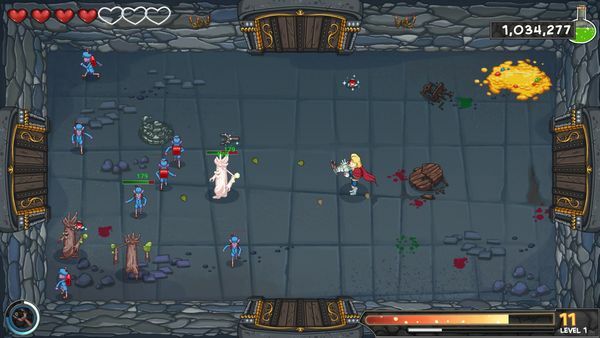 The Weaponographist is due for release on PC and Mac via Steam.